Welcome! Before we begin, could you tell us a little bit about yourself and how you first got involved with Survivor? I watched the first season of Survivor and was just immediately drawn to it. The show was unlike anything I’d ever seen before. I felt the game itself was an incredible metaphor for life (being part of a tribe, facing challenges, meeting your basic needs, individual needs before community, etc.). So with that appreciation for the show, I auditioned for season 2 (yes, season 2). And while I made far in the casting process, I was not selected. Fortunately, I didn’t give up — because I auditioned again the following year and was cast for season 23. And if that wasn’t magical enough, I was asked to play again in season 26. So Survivor has been a MAJOR part of my life for at least a decade! Kurt Manwaring: You were teaching English at Brigham Young University during the periods you appeared on Survivor. How did you get interested in English to the point you wanted to teach it in college? Are you still teaching there? Dawn Meehan: I began my own education with the goal of becoming a public defender/attorney. So, I studied International Relations in college. However, once I spent some time in an actual courtroom (shadowing), I quickly learned that I wasn’t going to “love” the actual courtroom experience. At that point, I decided to pursue my graduate degree in rhetoric and be part of helping other people learn to represent themselves in wider variety of situations. That seemed, and still does, so valuable to me: learning the critical thinking skills necessary to represent yourself at work, in your community, etc. Kurt Manwaring: You played very different games in Survivor: South Pacific and Survivor: Caramoan. Would you comment on the thought process behind the evolution in your play —and perhaps how you might evolve further if you were to play a third time? 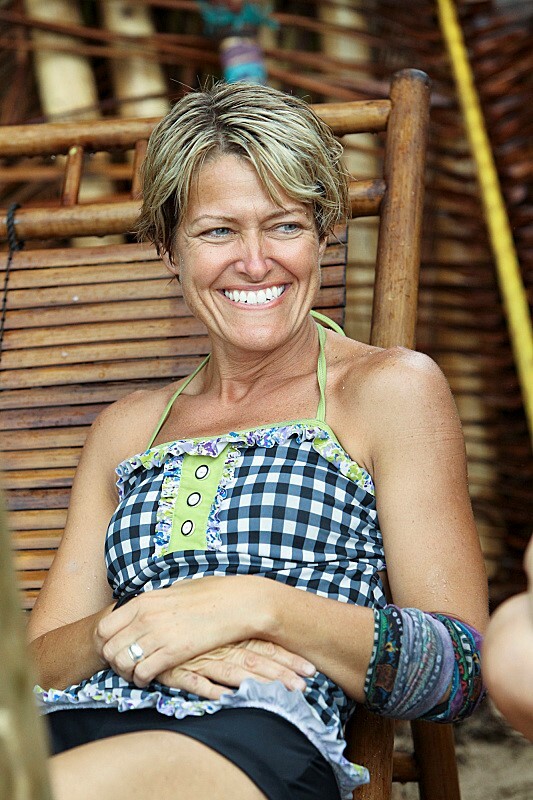 Dawn Meehan: The first time I played Survivor (South Pacific), I knew I would play a game that was consistent with my personality and character outside the game. Basically, I wanted to be myself and see where that led me in the game. And while it was a positive experience, I didn’t make it as far as I’d hoped. When the opportunity to play a second time came about (which was just 10 months after South Pacific), I gave myself permission to try and “Outwit, Outsmart, and Outplay” the other castaways. That ended up being a great strategy to get myself to the end of the game — the Final Three. But given my relationships with the other players (that I bonded quickly and deeply), it wasn’t a great strategy for winning the game. I’m not sure I can see playing a third time, so I don’t know how my game would change. I just feel extremely lucky to have played at all. Making it to the end is such an incredible thing; I’m proud of that achievement (even though I didn’t win the million dollars). Kurt Manwaring: In a confessional on Survivor: Caramoan, you talked about how insecurities are heightened during the game. Did you find that carry over to real life once the game was over, or did you hit the ground running back in Utah with a newfound sense of confidence? Or something in between? Dawn Meehan: I’ve never felt more vulnerable — in my entire life — than when I played Survivor. 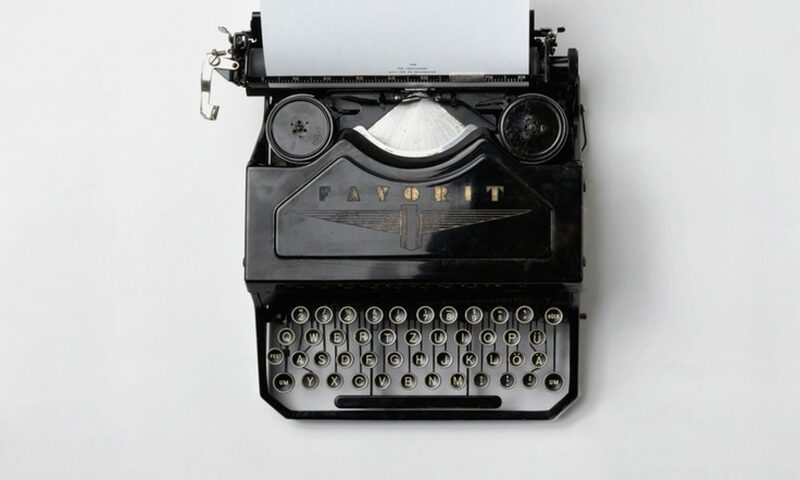 I think sometimes we (in First World countries) take for granted just how much we depend on technology to get us through the day (problem-solving, entertainment, social connection, etc.). I also think we are fairly dependent on friends and family for decision-making and support in high-stake situations. So right away, Survivor places you in unfamiliar territory. Add to that, the fact that we have a limited food supply; we’re sleeping on bamboo in a man-made shelter and exposed to the elements; we’re limited to one outfit and a bathing suit (in my case, a dress! ); we’re participating in extreme physical and mental challenges; living on an island in a foreign country with people we’ve just met . . . and vying for a million dollars. Kurt Manwaring: While doing research for your interview, I came across clips of Brenda Lowe’s final tribal speech in Survivor: Caramoan. I couldn’t bring myself to watch it again — and I wasn’t even there. You’ve said in the past the two of you have reconciled, but does that encounter/relationship still sting when you look back? Dawn Meehan: THAT final tribal council was painful. I mean FULL of PAIN! Does it still sting to think about? Absolutely. Kurt Manwaring: Medical emergencies are often marketed as scary events, but I think the scariest moment of the show I have ever seen was when Brandon Hantz had a breakdown of sorts in Survivor: Caramoan. To me, Brandon seemed very sincere. When he was happy, he let you know. When he was upset, he let you know. And in this case, it seemed he was stressed to the point of instability and letting everyone know. As I re-watched that scene, I was struck by how you seemed to go into a kind of Zen-breathing exercise almost instantly. What was going through your mind as that experience unfolded? Was it as intense in real-life as it appeared in the edited version portrayed on television? I was nearly brought to tears as I saw you break down when saying Brandon’s name in that impromptu Tribal Council. Dawn Meehan: I love Brandon. He’s all heart — and wow, he’s so physically strong. I know for certain that I went to get to the end of the game because Brandon helped our tribe win so many of the early challenges. That impromptu tribal council was an expression of how difficult the game had become for Brandon. That was one of the first times I actually thought, “under certain conditions, this is a dangerous game.” I just wanted Brandon to get medical care (and food) immediately. It was emotional and I sincerely regretted losing him in the game (because he had done so much for our tribe). Just as a post script: Survivor has an incredible production and medical team observing, interviewing, and documenting our progress in the game (literally hour by hour). I know from experience, they do their best to put the players’ needs before the game/show. Kurt Manwaring: You are a member of the Church of Jesus Christ of Latter-day Saints. Could you talk about the importance of your Mormon faith in your everyday life? Dawn Meehan: Being a member of the Mormon faith impacts every aspect of my life. It helps me feel connected to every person I meet. It helps me practice and learn compassion and tolerance. It helps me find calm when things are chaotic. It helps me to appreciate every good thing in life. And hopefully, it helps me to be less “me, me, me” in a world that sometimes teaches us to put self first. Kurt Manwaring: Did conversations about your Mormon faith or religion in general come up during the game with other contestants? Does religious faith affect in-game decisions? Dawn Meehan: Players have a lot of time to talk in the game. Hours and hours. I think we cover nearly every topic that exists to humankind—sometimes twice! Kurt Manwaring: You’re not the only Mormon contestant to play Survivor — and you’re not nearly the first to play the game with a certain degree of conscious deceit. At the same time, I can’t think of another Mormon contestant who took as much heat as you did in Survivor: Caramoan. Do you feel like you were held to a different standard — either because of your faith or your approach to the game in South Pacific? Dawn Meehan: I tend to bond with people quickly. And I think the main reason people held me to a different standard of game-play had to do with the bonds I’d formed. No matter how many times you hear “it’s just a game,” betrayal is a painful experience out there on the island. I think having a mother of 6 children betray you just plain hurts. I really was the last person people thought would betray them. So, I think being a mom had more to do with people’s expectations of me. Kurt Manwaring: Jeff Probst says the name of Ghost Island has been on the drawing board for a long time, but it took a while to come up with a creative concept to match the title. What do you think of the concept of Ghost Island? Dawn Meehan: The concept behind Ghost Island is fantastic, especially if you are a long-term fan of the show (because you’ll be able to recall previous players and their game-changing mistakes). I’m also curious to see how many players know enough about previous seasons to avoid repeating those mistakes. Kurt Manwaring: By now, we’ve learned a little bit about the contestants for Survivor: Ghost Island. Who are one or two contestants you think could go all the way and bring home that million dollar check? Dawn Meehan: I usually wait to make a prediction about the contestants until I’ve seen the first episode. I think there’s a radical difference between pregame (well-fed) contestants and mid-game (hungry) contestants.